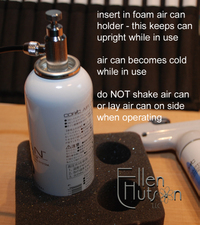 I have received numerous questions regarding which set of colors works best for airbrushing. Is it the lightest colors that are in the set 12A? or the darkest colors that are in 12D? or is it the ones in the middle? My answer to that question is not definitive at all - LOL! It depends on the look your are going for. What I tried to do in this example is share with you how wide a range you can achieve when airbrushing. When I airbrush I like to start by holding my airbrush approximately 8" away from my work surface and not aim directly on to my piece of work. I actually will aim to the right of my piece of artwork for the initial trigger pull and then move my airbrush back and forth over the area that I am spraying. To achieve darker/or denser spray patterns move your airbrush slowly closer to your work surface as you continue to move back and forth. 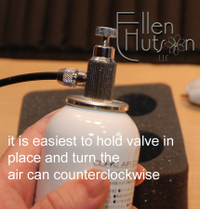 To achieve a wider spray pattern hold your airbrush further away. Pictured above I selected all four Blue-Violet colors that I carry in my store. I began with the darkest color tone on the left and worked my way to the lightest tone on the right. With each spray pattern I tried to achieve a darker tone on the left side of the color allowing it to become lighter on the right side. I then elected to color a strip of the marker at the very bottom edge so that you would be able to see for yourself the difference in color value range that you can achieve with just one marker. So back to the question - which color range works best? My answer to that question is - do you want a soft misty background? If so select the lightest colors. Do you want a more dramatic look? Then chose the darker colors. You can airbrush with all of the colors, you will just achieve different looks. OK, so what else should I try? Sketch markers come with two different tips - one is the chisel tip, the other is the brush. 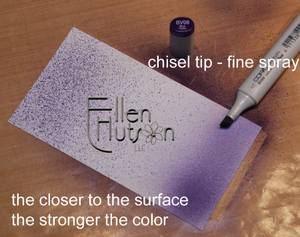 When you utilize the chisel tip you will achieve a very fine, more dense spray pattern. Again the closer you hold the tip to the surface the stronger the color becomes. 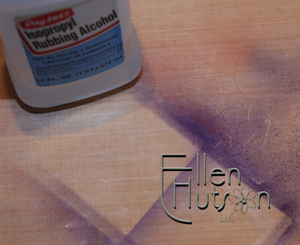 To keep a smooth and even color slowly move your airbrush back and forth across your work surface. Next you have the brush tip. Not only does the brush tip allow you to work in very tight spaces when coloring, but it can be utilized with the airbrush system as well :D. See me bouncing :D The Original Copic markers really only have one end, the chisel tip, that works well in the air brush. The fine bullet tip just doesn't give much of a spray pattern, if any. 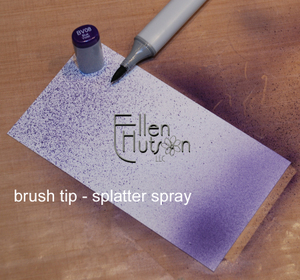 Whereas the brush tip on the Sketch marker gives a very cool splatter (or should I have said spatter?) type of spray pattern. Options, options, options - a girl just needs those :D. That's why I love the Sketch marker. So here it is - all messy! and yes - that is cheap (or should I say inexpensive :D) rubbing alcohol that can be purchased a myriad of places across this planet. Dampen a paper towel and wipe. VOILA! Some of you may have never seen the shoes that I have designed. Here is the story behind the shoe. 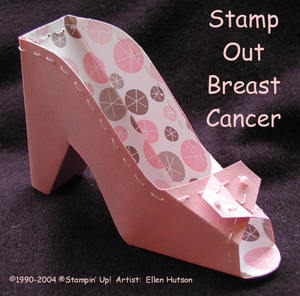 The first shoe was designed for a Breast Cancer Fund Raiser I did back in the year 2004. I had seen the Provocraft Coluzzle template in the store and I was drawn too it, but it was just too clunky looking for me - LOL! Yes, miss "elegance" here. (Perhaps I should have been wearing one of these elegant shoes the night I took my not so elegant fall :D maybe it would have helped me be a little more graceful and kept me from my current predicament). As some of you may know my background is interior design and with that came the art of drafting. So I did just that - I drafted my own little shoe. It was right when SU came out with their fundraiser stamp set and I decided I really wanted to make more of a difference than just selling stamp sets and thus I planned an event titled "Stamp Out Breast Cancer". I love to play on words and so the shoe was used to draw attention to this event (as in stamp your feet as well as stamp your images). At that time SCS also did a special gallery for the DD in which I was a guest that month. I uploaded the shoe to the gallery and it was a huge hit. Unfortunately at that time I didn't really have a good drawing being that I had drafted it and it was pretty "sketchy" at best. I had planned on making a template to distribute on SCS, but with the loss of my father-in-law and the progression of cancer in my own father and then losing him everything just got put aside. It was when I made a determination that I wanted to pursue a career as a concept artist that I then pulled those sketches back out. 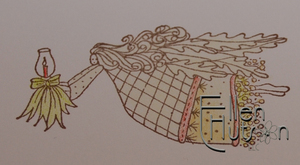 When I saw the call for the upcoming fall issue I thought it would make the cutest witches shoe and so once again I revamped my initial drawing and changed it up slightly to make what is now known as the Witches Shoe. 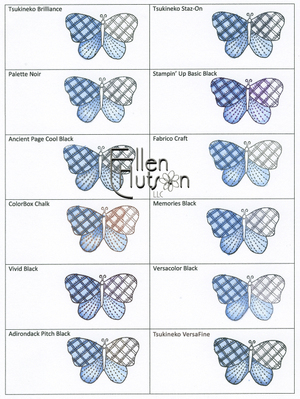 This is the first grouping I created for Paper Crafts. Now many of you who do design work know that there are always changes. So here is the first ensemble I presented them with. The funny thing was that I absolutely loved it with the green accents, unfortunately they didn't and so it was my first time making changes to one of my creations to fit the needs of the magazine. I still have a soft spot for that snazzy green accent color on the invitation - LOL! But it all turned out being that I salvaged every little tidbit of the original paper because I couldn't get more quickly enough to remake these. I hurriedly remade them according to specifications and got them sent off in time :D. I don't know if you can tell, but the shoe that was stamped on the shrink plastic and on the place card is the Lockhart Party Shoe. It was this shoe that began my adventure of today. Through this shoe I met Karen Lockhart and my career took a turn to the amazing. I feel so blessed and fortunate! It's because of this shoe that I met the person who has helped me realize some of my dreams and goals. You know the title of my blog - Simple Dreams - it's just that. I do have simple dreams, simple goals, simple aspirations. I am always setting new goals - my goal is to hopefully each day inspire someone, share a moment of warmth or laughter and to share the gifts that I have been given. 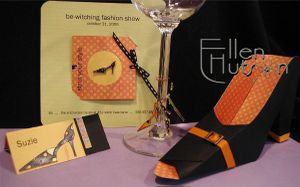 Of course this shoe can be used for all sorts of fun occasions, not just Halloween. 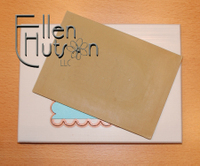 It can be enlarged and reduced to turn it into a little gift holder, or just a little place card. There are so many ways that you can use this template to create objects for those you love. I know of one group of women who celebrated an event and one lady made SIXTY of these! It has been so delightful to see how everyone has used this little shoe to make an event "smashing". It gives me great joy to know that so many of you are enamoured with this little creation. It gives me great joy to know that what I share makes a difference to you. There are a few of you who have noticed a little surprise that was snuck in to our online store. Some of you have already been purchasing this darling little image that Karen has just released. For those of you who are not familiar with the Lockhart Stamp Company line of images I am going to share the story behind the Limited Edition pieces. 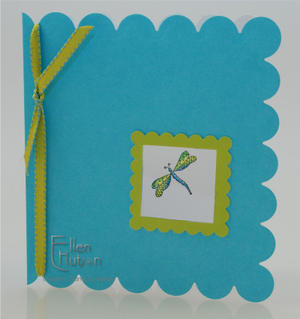 Karen began her stamp company the end of the year 2005. I believe at that time she had something like 13-15 stamps. She decided that each year she would release an image that would be limited to 250 pieces. She selected a theme that is so very charming and began with a celebration from their lives - the arrival of her little grandson Nicholas. The first image released was "The Flurries". Unfortunately there are none to be had at this point and I refuse to sell mine - LOL! If you are lucky to find one you will want to snap it up. In fact the most recent sale we noted was someone selling it for $20. Who would have thought that one little stamp could become so valuable?!? Sorry for the not so perfect picture, but I took my boot (cast) off and it is a royal pain to get it back on to go and find a better picture. So instead I am sharing this one which was easy to attach. Here we have Grandma and Grandpa Flurry with baby Nicholas. Last year Nicholas was a year old and like all little children loved being tossed in the air. So "Nicholas and Daddy" came about. If you think that you would like to purchase this Limited Edition stamp you should probably do so as soon as possible because once my inventory is gone, they are completely gone. This year Nicholas, now two, has gotten to know his grandma and grandpa a whole lot better and I do believe that he is the light of their lives. Karen shared a story with me just recently that gives me the giggles. Nicholas came to spend time with Grandma and Grandpa and upon arrival was thrilled to see "Big Daddy". Karen was then wondering what she was going to be called and had her fingers crossed that she would not be called "BIG Mama" - LOL! Thankfully Nicholas is wise for his age and began calling her "Nanna" instead. What a relief for Karen! But we continue to giggle about it each time we talk about Nicholas. We are being treated this year to "Grandma and Grandpa with Nicholas" - I am so delighted with this sweet image! 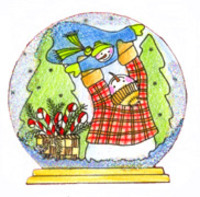 What could be more fitting for this occasion then a little pocket card to record some of Nicholas favorite holiday memories? 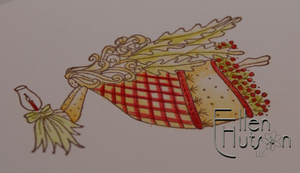 The inspiration for this design came from my friend Kendra. 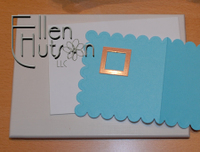 Today Kendra shared a picture of one of her creations and I just loved the layout - thank you Kendra for inspiring me! 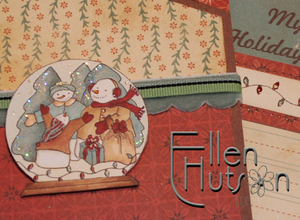 Please stop by her blog and check out her WAY cool creation! Being that I love an old-fashioned Christmas style I decided to go with the new Cosmo Cricket papers that have been sitting here beckoning me from afar. I know that the Lockhart image is pretty "crisp" in nature and so I began with a color palette that would bring it into a realm that would coordinate with the Cosmo Cricket papers and in addition figured out a way that I could then age the whole creation, hopefully without muddying it too much. I took a picture of my work in progress to share some of my coloring technique. First I lay down the lightest color. I then scribble some of the coordinating colors on a piece of plastic (or in this case my acrylic block being it was right there - LOL!) Next I use the light colored marker to pick the dark color up off the block and add shading to the image I am coloring. Once I have the color added to the image I then scribble off any excess dark color until the marker is once again "clean", as you can see by the example in the lower right hand corner of this picture. I created a mask (Debbie has done a WONDERFUL job of explaining how to do this at her blog here) and airbrushed the sky with the blue-green color (BG72 - this is a color I hope to add to my store soon being that I have decided I just can't live without it - LOL!) from the trees and then added some E31 to age the appearance. I removed the mask and as you can see it still was a little too white! So I airbrushed additional E31 over the entire image, leaving the faces and bodies of the snowmen a little lighter. In the image above please take note of the tree on the far left. As you can see it is brighter then the other trees and not nearly as well blended. Many times rather then using the blender pen to bring the colors together I will select one of the markers from the lightest color set to bring all the colors together. In this instance I selected E00 being that the colors in the Cosmo Cricket papers are not a true bright value. The addition of the E00 over top the BG72 and BG72 combined with E29 bring all the color tones together to work beautifully with the papers. As you can see in the image above I used my colorless blender pen to then remove some of the caramel from just the bodies of the snowmen to add a little contrast to the snowmen themselves - this helps make them pop just a little more. Sneaking out from behind you will notice this awesome "Ribbon of Lights". These were also stamped on white cardstock, colored with Copics and airbrushed with E31 to age the strip and allow it to blend with the papers. Airbrushing is so quick and easy and it is quite simple to learn to control the amount of color that goes on to the paper. So the "surprises" I was referring to in the title above are a wonderful new collection from Karen Lockhart called the Millinery series. To allow you a comparison of sizes I have taken a picture of the collection and shown it here below. Each of these was colored by Karen herself. Hopefully the combination of these pictures along with the one above that shows the Ribbon of Lights "in action" will allow you to get a feel for how these would fit on a card front. 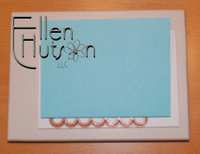 Each "ribbon" is 5 1/4" in length and approximately 1/2" high. 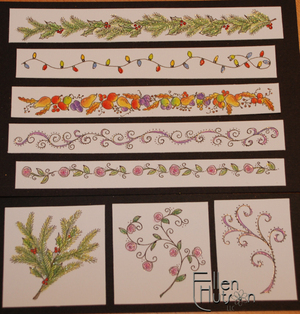 With time you will see these ribbons and embellishments come to life in some other fun creations. I'm taking it one day at a time around here and trying so hard to get as much done as possible. Thanks for stopping by to share in my excitement - sorry there was no fun build-up this time for these latest releases. I just couldn't pull it off this time round. Maybe my next celebration will be when I am up and around again. 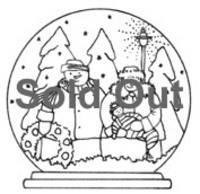 So go and get your "Nanna and Big Daddy with Nicholas" stamp as soon as possible being that my guess is that this year they are going to fly out the doors. Have a wonderful weekend! Yet another update - LOL! Well it's Monday - maybe I should start calling it Monday Maintenance being that I make a lot of phonecalls on Mondays!!! Spellbinders Nestabilities: Here is the latest update - they are scheduled to be air freighted here to the U.S. the first of September which means now that we are looking at mid-September for actual delivery. 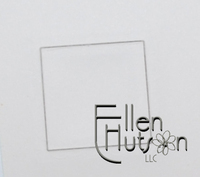 Fortunately we (Ellen Hutson LLC) are at the very beginning of the list of those receiving the dies and we are SO ready to ship these out as soon as they arrive here in Seattle! Please keep your fingers crossed that the manufacturer has NO delays above this timetable. All Spellbinders can do is keep those phonecalls going to make certain that work is proceeding and that these are being made correctly and then we wait, and wait and hope for the best. COPIC: I am thrilled to report that this morning I was told that ALL merchandise has landed. I would have danced if I could have, but instead just grinned from ear to ear and bounced in my chair. We have our team prepped and ready to go to blast those babies out of here as soon as they come. The crew is madly working at their warehouse in Oregon to get these out to us pronto! NO MORE BACKORDERS on COPIC I hope! By next Monday I hope to have all Preorders taken away from the COPIC section of the store. I am trying to stay ahead of the game as well on new order possibilities and therefore I am so very hopeful that in the future we will have a better understanding as to how much inventory to carry. Being so new in this business of selling has made it a challenge to "guess" and yes, it is truly a guess each time I place an order for a new item. If anyone has a secret formula for how to inventory I would LOVE to hear it - LOL! Foot: WOOHOO I am SO excited! I went to see the doctor again today and they sawed that cast off!!! They took another x-ray and the bone has signs of putting that initial layer of "glue" down, so the healing process has just begun!!! They have allowed me to have a boot instead of a cast. For this I am eternally grateful - it's the little things that matter at this point :D To be able to take it off and allow the skin to "breathe", to allow me to ice it and rub those aching muscles and gently stretch out those charlie horses, to be able to shower or bath that skin and apply lotion - it is SUCH a relief!!! Oh yes, the little things in life :D Casts are claustrophobic!!! - LOL. Unfortunately I am not allowed to walk yet. I must use my crutches and only put a tiny amount of weight on it. In fact they want me to use both crutches for at least another week and then I can slowly work myself down to a single crutch by six weeks. Oh the patience I must continue to have - I have true empathy for those who don't have an opportunity to do this and are permanently injuried. My heart goes out to these people more then ever before! At six weeks they will do more x-rays and reevaluate whether I am able to start weight bearing and Physical Therapy. Hopefully at six weeks they can then "work me" out of the boot. I learned so much more about the break that occured at my visit today and the ramifications of putting weight on it too soon are not good. So it is going to be another LONG three weeks, then two more weeks of working up to using it. The bone I broke takes 7-8 weeks to "clinically heal" and then 18 months to strengthen back to normal. Ouch!!! I am so "not good" at sitting around and therefore I am slowly beginning to lose my mind - LOL! The only bright spot is that being I can't get myself any food except stuff like chips or stuff I can carry in a bag I haven't gotten myself anything. I refuse to gain one more ounce sitting in this chair and so I think I may actually loose a couple of pounds with this adventure - woohoo! The lack of ability to create has been extremely frustrating. Not being able to multi-task is not something that is easy for me to accept - LOL! It is all I can do to keep my family moving along preparing them to get ready to go back to school, keeping them helping do the laundry and cleaning house, and trying to promote loving behaviour between these two monkeys!!! Believe me when I say that I think it is time for them to have more of a break from the 24/7 time together stuff - LOL! They are so loving and yet all this "togetherness" is just a little too much. The remainder of my time is spent here in a chair with my leg up doing computer work and keeping the girls who help me up to date with the webstore as well. There is so much on my creative to do list that I would like to do and share, but all good things are worth the wait. Right?!? THANK YOU, THANK YOU, THANK YOU to all for the well wishes - your cards brighten my day like a ray of sunshine. I plan on taking a picture of these beautiful creations once I am a little more able to be mobile by myself and share it with everyone. Hopefully I'll be back with something creative in the next couple of days because the long-awaited Limited Edition 2007 release is right around the corner along with some spectacular new Lockhart images. I can hardly wait to share these with you!!! WOW - you all never cease to amaze me. Your generosity and patience are so very much appreciated! First I want to update you on your Nestability orders. We are still slated for the product arriving here in the U.S. the end of August and thus we hope to turn it right around and get it out to you without delay immediately upon it's arrival. I will continue to keep you posted as to the arrival date and if it should shift in either direction you will be the first to know. But as it currently stands we are still looking at the end of August/beginning of September. Your enthusiasm regarding the new Spica Glitter Pens has also taken me by surprise. We have immediately placed a much larger order and so hopefully this time we will not sell out in two days. It is scheduled to arrive here by Monday I believe. At that time we are thrilled to be able to provide you with a wonderful zippered storage pouch for just pennies more. If you would like to purchase all 13 colors it will now be easier, instead of having to enter all 13 colors separately you can just use this item - COPIC Spica Glitter Pen Set and you will receive the glitter pens in the pouch shown below. Last and certainly not least we are still on track with the dates of product arriving at COPIC on August 17th. They will then be working madly to get the product pulled and shipped to us ASAP and we in turn are ready to roll with shipping your markers as soon as they arrive here. I can hardly wait to get these markers to you. I know that you will enjoy them for many, many years to come. When Nichole sent the latest sets and goodies to get started on this month's projects my jaw dropped. I can not believe the brilliance behind these creative sets. The projects that she has been creating are just over the top FANTASTIC! So what does someone like myself do to try and come up with anything just a "little clever" to add to the mix. When I saw the Spooky Sweets set and those darling little "grins" it brought back a craft from the "good 'ole days". Remember all those old egg carton "things" we made. Well my thoughts went to those cartons and thought how clever these little "grins" would be when combined with a little glue and paint. 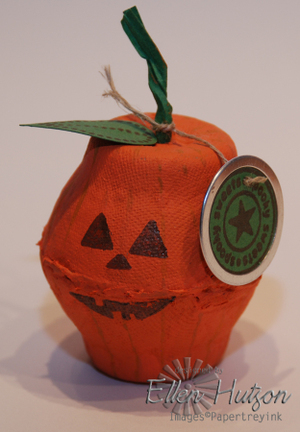 So with that I created these "Littlest Pumpkin Treat" containers. I sent my girls on a scavanger hunt through the toy box to see if they just might find one of those old plastic spider rings to add as a prop for this photo, but no such luck. I've also kept all of the sweets out of reach so that I don't get an even wider back side. So please envision these filled with the most enticing array of little goodies for your little Halloween monsters. Or set by their plates in the morning before they head out for a day of adventures on the 31st. All you need is a cardboard egg carton, green twist ties, linen thread, green paper, some orange paint, Nichole's Spooky Treats stamp set, (and I did use the Beautiful Blooms for the leaf), some of those fab little Making Memories Tag Rims, and some ink. Cut your egg carton apart and trim it down until you can get an even top as shown in the photo below. I hope this little project brings back some fun memories and gives you just one more way to use your new Spooky Sweets set! This post has been WAY too long in coming on so many levels. Once again I thank you for the beautiful cards, warm emails and posts to my blog in regards to your concern for my well-being. Please keep your fingers crossed that I will be able to walk on my foot tomorrow. Being that I was diagnosed with an acute foot fracture (or more specifically I broke a major weight bearing bone in my foot) I must start with a minimum of use after staying off of it completely for the last two weeks. It still hurts and therefore I am hoping that the bone has laid down the "glue" necessary for it to heal correctly over the last two weeks. If this hasn't happened... well I don't even want to think about it - LOL! I've been a good girl and so I am thinking positively at this point :D Thank you again for your thoughts, prayers and advice!!! I just want you all to know that hopefully you will find your long wait for your COPIC markers worth while. The one thing that is important to me is to make certain that I am providing my customers with accurate, educational information - but also a good value for their dollar. 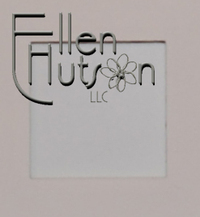 I know that you can find all sorts of other places to purchase your products through and I thank you again so much for supporting us here at Ellen Hutson LLC. We are trying to give you the best value for your dollar and bring the products to you in a professional manner that will make your life easier. These wallets make it convenient to travel with the markers and will help keep your markers organized. If you have purchased both sets I would highly recommend that you reorganize them by color family once they arrive in your homes. Mine are organized by color families starting with the lightest color and working to the darkest. For example I start with the BV colors and organize them as follows: BV000, BV02, BV04, BV08. Then they go in the following order: BV, V, RV, R, YR, Y, YG, G, BG, B, E, and other neutrals. 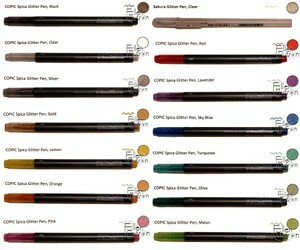 By ordering them this way it is easy for me to quickly reach for a combination of colors that will make blending easy. Even though I have a multitude more colors I have been limiting my use to these 48 to be certain that what I have provided really "does the job". Many of you have asked if I will add colors over time and I want you to know that that is a possibility. There are some other neutrals as well as a few other "colors" that I would love to have included in these sets, but being a pragmatist I wanted to make these sets more of a reality for the many who would delight in the use of these markers and thus I limited myself to the 48. If you would like to see me add to the line please let me know, but again I do not want to assume that you all have oodles and oodles of dollars to spend on markers and so I will keep it as is, at least for now. The sets of twelve that I have put together come in a cute little clear case. These little cases can also be reorganized as you add to your markers so that you once again have them organized by color family, similar to how I organize my wallets above. I will be adding both the empty clear cases and the wallets to the store for you to be able to purchase separately, but being that the markers aren't even here yet I haven't put those items up yet. Please know that they are here and will be added to the store soon. If you are in need of either item please let me know and I'll try and get them posted sooner rather than later. Many have asked about paper. What paper is it that I recommend for use with the COPIC markers? I have not had the opportunity to study paper as thoroughly as I have studied ink pads. This is probably due to the fact that I use the Neenah Classic Crest series of paper for most of my work and it has done well by me. I typically use the Solar White which is listed in the upper right hand corner of the above link. I have used the markers on a few others as well and so I will put together a "model" or example for you all to see as soon as time (and my ability to motor around this house of mine) allows. 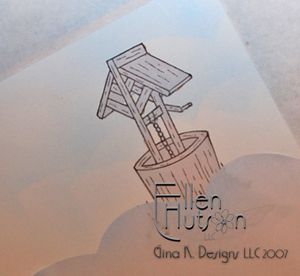 If you love to color (like I do :D) then the new Make a Wish, Stamps for a Cause set from Gina K Designs will be one that you really enjoy!!! The bold nature of the images makes them easy to use, in fact my 7 and 13 year old DD's really, really like this birthday cake and have decided that this will be an image they want to use for making their friend's birthday cards. Maddi saw the card that I made today and she said, "CUTE Mom, I think I'd like to make some of those for my friends!" Both girls love to stamp and make cards for their friends. They have taken to bringing out my supplies this summer, as they are also "stranded" here at home, and are "sharing" them with their friends. To say the least - I'm EXTREMELY excited to share my supplies with them and encourage their creative spirits. So if you have kids in your family, this set is not only to raise funds for a cause that benefits kids, but it is also a stamp set that will be PERFECT for kids to use. To make this card I once again used COPIC markers to color the image. The bold, vivid nature of the colors truly makes this cake look scrumptious. The background paper is new from Memory Box and is called Enlightened. I hope to have it up in my store soon. It was this paper that I used to develop my color scheme. I love the look of tall skinny cards and felt that this image is well suited for this type of design. I love that the font of the greeting is so classic. The one thing that I find difficult right now being I can't make it out to my little photo studio is capturing accurate colors and the sparkle in my cards. So I took a second picture and I hope this gives you a better idea as to the glitter that is on this cute little cake. So how did I create this gorgeous color? Well, the stars are created using a FAB NEW product from COPIC called the Spicas. These babies rock!!! 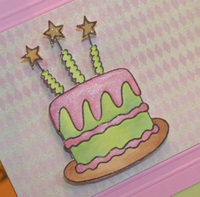 The colors I utilized on this card were gold, black, melon and pink. To watch these go on is an absolute delight. As the ink comes out the glitter just rocks! Talk about bling - these are bling supreme!!! So with that I'm going to leave you with a little enticement to please help a worthy cause! Purchase the stamp set and share it with a child in your life, purchase the stamp set and use it yourself, or just go directly to the Make a Wish Foundation and make your donation. I plan on doing the later being that I have this fabulous set. I challenge you to do the same - some child and their family will be eternally grateful. Well if persistence and follow-through would make things happen in this world I would be so happy, because I have been incredibly persistent in my calls to follow up on getting the COPIC markers here in a timely manner. Unfortunately I do not have good news to share. In fact I am rather bummed and feeling I wish that I could be in control, but alas I am not. I believed that the remaining Sketch markers that had been backordered were arriving today, but they aren't. In fact they are not even landed here in the U.S. yet. I am SO SORRY! After many phonecalls, some begging and pleading to get more information, I have the following to share with you. The remaining markers are to land on August the 17th. I have asked that the turnaround time be kept to the bare minimum and that the order be expedited to me. This wait has been a LOT longer then I had anticipated and I am SO sorry. It seems like life keeps handing me lemons these days and I am doing my best to turn each lemon in to lemonade, but I've got SO much lemonade mixed up at this point that I'm not certain what to do with it all at this point - LOL! If only I could turn that lemonade in to COPIC markers I would be so very happy! I thank you all so much for your patience and belief in me!!! We have a Sketch Challenge Winner! 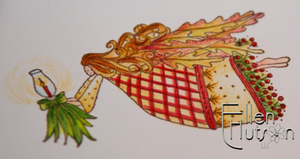 Thank you for all hanging in here with me as I made certain all entries are in place - yippie! The random number selector picked the number 6. What does that all mean - well if you head over to the Challenge Gallery and look at the cards each one was given a number. Drum roll please - lucky number 6 is..... Colleen Manning! Colleen, if you could email me with your selections - I need you to select three (3) Lockhart Stamp Company images and your color selection for the Memory Box Notecard and Envelope set. I thank all of you who participated!!! 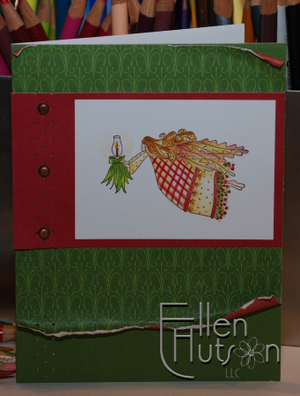 It is so much fun to see what you are doing with your Lockhart stamps! Your work is beautiful! Challenge Sketch Photos are Finally Up!!! OMGoodness I am jumping with joy (inside) - I finally have accomplished one of the things on my lengthy to do list :D :D :D I am so excited to finally be sharing these wonderful pictures of the cards created by those who entered in the Sketch Challenge WAY back in July. I am not going to do the actual drawing until tomorrow. I would really appreciate if you could check the gallery and make certain that your card is shown. The drawing will then take place with these 19 entries unless I have overlooked someone's post or email to me. With being incredibly disorganized over the last two weeks it has been a challenge trying to get it all together and I apologize for the delay. I doubt I have to remind any of you as to the wonderful prize package, but here it is again. So if I don't hear anything in regards to me missing out on an entry I will draw from the 19 names tomorrow, using the random number generator. Watch for the drawing post tomorrow and please do not hesitate to contact me if I missed your sketch challenge post!!! I would like to make a wish tonight and that wish is that you will consider reaching out to help make some child's wish come true! Gina K Designs has once again reached out to us here in the stamping world to help make dreams come true. I am so honored and proud to be a part of the team that is trying to spread the word in regards to the stamp set "Make a Wish" that Gina has created just for this purpose. Please hurry on over to Gina's blog to get the full scoop regarding this stamp set with full details on how to purchase it. You will also find some beautiful eye candy that the many talented women and one man (:D) have created. Gina has put together an amazing group of stampers to showcase this stamp set. They will share many inspiring ideas so that once you have the stamps you will have countless ways to use them! Gina, I thank you for inviting me to be a part of this incredible adventure and I will do my best to inspire others to put these awesome stamps to good use and share some creative ideas over the week ahead! Stamping with this broken foot has proved to be an interesting adventure. It takes me a LONG time to get one simple little thing made. My little personal assistants are beginning to not be so enamoured with the job of retrieving every little thing for mom and then to have to put it back again - well.... LOL! So I will keep at it being that I am driven to help see children's dreams and wishes come to reality through this project. I am also going to inquire to see if there is a way for us to contribute to the Make a Wish Foundation in conjunction with Gina's project. 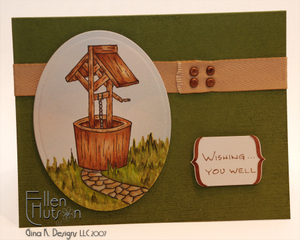 The card I am going to share tonight is made using the cute little wishing well and it's coordinating saying. Being that my supplies were rather limited and I tried to use items within my reach this card is rather simple. I began by stamping the wishing well with Adirondack, Pitch Black ink. This ink dries quickly and is awesome with the COPIC markers. 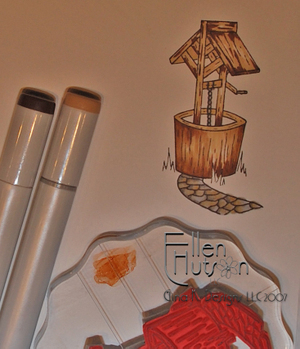 I am going to show you the wishing well in progress and try to give a brief explanation of how it is that I color and blend using the COPIC markers. You will notice that I am only using two markers at this point. E31 (Brick Beige) and E27 (Africano). I begin by quickly stroking from the edges towards the centers using the lightest color. I leave some white spots as I work in the place that I want the finished image to be the lightest. I then do the same with the darker color bringing it in only a slight distance using random length strokes. The right side of the wishing well and the roof are a prime example of what my work looks like at this stage. I then find a plastic surface within reaching distance (in this case it happened to be my acrylic block - LOL!) I scribble down a little of the darkest color and using my light marker I pick it up off the plastic surface and then begin to lightly stroke in different areas - thus bringing the dark and light colors together. Do NOT be afraid to get dark alcohol ink on your light marker. It is easy to just continue to scribble on a piece of scrap paper and momentarily you will have your original color soon coming back out the tip. You will notice in the finished piece up top that I have left a couple of areas on the roof and the lower portion of the well lighter. This is to try and help the well have shape or depth. By not coloring the same all the way across you can make your shape appear more rounded. I also added a little E09 (Burnt Sienna) at this point, using the same "scribble" on plastic technique. I felt that it just needed a hint of a redder brown to finish it off. This is not the best lesson I could have probably given on the subject, but at least it's a start. To create the sky I pulled out my Eclipse Tape and the Airbrush. First I stamped and cut out a mask of the wishing well and placed it over the colored image. Yes, I even took my little Retractable Blade Knife and cut out the insides of the wishing well so that the blue sky would appear in that area as well. I quickly cut large odd shaped scallops across the width of the tape to simulate the look of big puffy clouds. Starting at the top I place my mask and began lightly spraying. I would then pick up the stencil and move it not only downwards, but I would adjust it horizontally as well so that the scallops would not line up directly each time. By working the scallops downwards and back and forth you really can create a very cool looking sky in no time flat. I did add a little light pink and a little yellow as I airbrushed just to add some warmth to the sky. Then the Eclipse tape got pulled off and I created some grass. I wish I could have created the grass all over again, but alas by this point the heartbeat in my foot was telling me that I needed to wish myself well and get back into my couch potato, foot up position promptly - LOL. 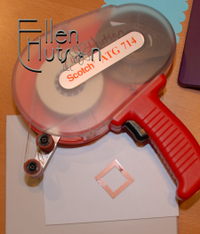 I quickly used the oval nestability to cut and emboss the oval. Grabbed my trusty SU tab punch to create the little tag, added some Caramel twill and Antique Copper brads and assembled. As a finishing touch I hammered down the brads hoping to simulate the REALLY cool look that Tim Holtz showed me at CHA, but alas I do not have his nifty hammer (yes, I will be getting his nifty hammer being that I LOVED the distressed look it created) and voila we have a "Wishing You Well" greeting that is perfect for men as well as women. If your heart strings have ever been tugged by the sweet children who are in a tough place in life and you have been wanting to reach out to help, please head over to Gina's place (or shop pronto at this link) right now and join us in helping make some wishes and dreams come true! COPIC - Which Ink Pad do I use? You girls are so much faster than I am - LOL! OK, so I have researched the ink pads in depth. Being that I am not one to rely on other people's work I did my own test back in June but just haven't had the time to upload the information I discovered. I guess this foot injury is coming in handy after all! Thank goodness I had all the work done, I even had my test sheet scanned - LOL! So here are the answers to the long awaited ink pad questions. Tsukineko Brilliance (if patient you can wait for it to dry and color without heat setting - this is the method I used in my testing. Typically though I am rather impatient and therefore I need to heat set my image first Ü). By studying the results to my little experiement I had an aha moment. Lo and behold pigment inks were awesome! 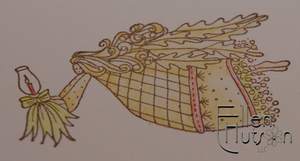 (Fabrico Craft is another example of a pigment ink.) It was one of those duh moments! Of course pigment inks will work great - that is why COPIC makes a small multiliner for drawing details that is PIGMENT. SO if you have a pigment pad try it first before running out and buying something new Ü BTW I am working at getting these pens uploaded as well - hopefully in the next couple of days. I have already uploaded the Brilliance Black and Coffee Bean, so if you do not have a pigment pad that you are happy with these will be an awesome addition to your stamping collection. Adirondack (this dye ink is AMAZING! I don't know if it is due to the fact that Ranger makes alcohol inks, but I'm LOVING this ink with the COPIC markers.) I can highly recommend it and that is why I have added it to my webstore. It is actually my first choice due to it's quick drying time, but I listed it second being that I don't want to sell you a product that you don't need. If you already have a pigment pad that will work with your COPIC markers you don't need this one (or perhaps maybe you do if you have to have it all - LOL Ü). Being that I don't always like to use a black ink I also added the Espresso for a rich deep brown to use in stamping your images. I feel REALLY good about using this ink with the COPIC markers! Just you watch - pretty soon all my competitors are going to have it in their stores too - LOL! Sadly, I just can not recommend the Palette ink pads for use with the COPIC markers - the results are always "iffy" at best, sometimes it works and other times it doesn't. If you want consistency you need to either use a pigment ink or the Adirondack. I hope that the document that I have attached above can be viewed in a large enough format so that you can easily see the results for yourself. You will notice that many of the inks do a "so, so" job without the Colorless Blender, but as soon as the solvent is added you end up with a mess. The Colorless Blender is a tool that is a must have for COPIC users and I will share those reasons in the coming days (and months). Have you heard the term "trust me" - LOL! Well please trust me on this one - it is amazing the techniques that you can use the blender pen for. As time allows I will share more and more with you regarding these fabulous tools. COPIC Sketch vs. Ciao vs. Original - Which one and why? ETA: I just was in contact with Marianne, the COPIC representative I have been learning everything I know from, and the information regarding the Ciao Nibs not being replaceable is no longer true. They will be updating their website to reflect this change as well. This piece of information will come in SO useful for those who own the Ciao markers. Do not throw them out, but order replacement tips if the current nibs wear out! I apologize for this error, but am so grateful to know this information now so that I do not provide misleading information regarding the Ciao markers! Would I still have selected the Sketch Marker - YES. 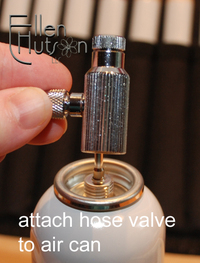 For me it is once again about the color selections, comfort of use and versatility of using it in the airbrush system. The COPIC Sketch Marker with its’ Super Brush tip and Medium Broad tip is the perfect tool for coloring in stamped images! At least that's my opinion - LOL! After many months of research and testing and playing I came to this conclusion without a doubt in my mind. Not only can you color in stamped images boldly, you can blend and airbrush, you can use these markers on textiles, in fine arts lettering and calligraphy, in producing graphics or to add a painted feeling to your works of art. The possibilities are endless and we (Julie Ebersole, Debbie Olson, Trudee Sauer, Michelle Wooderson and myself) will do our very best to educate you to the limitless uses these markers provide. Education is so important to me and I hope that I will always be able to provide you with the reasoning behind my selections. · AMAZING color selection – in fact it was so amazing no one seemed to know which colors to start with – LOL! This is why I went ahead and broke it down in to a set of 48 colors that I think are the must have colors. This is the primary reason I selected the Sketch variety of COPIC marker over the Ciao. The Sketch markers are available in more colors than the Ciao and when I made my final selection of colors, basing it totally on color, some of the colors were missing from the Ciao collection – colors that I feel are extremely important when shading and blending. This selection of colors will provide you with an amazing assortment of colors necessary to color in any stamped image. By touching two tips together you can create your own color and add even more colors to your color assortment. · Fast-drying, permanent, non-toxic, and toner compatible – what does this mean? 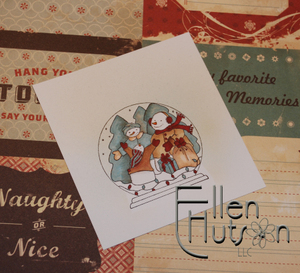 These markers not only work great on stamped images, but you can also use them with printed or copied graphics. 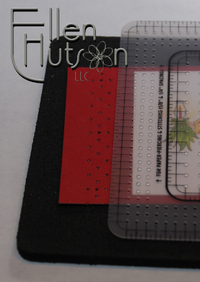 When sending your cardstock through a printer to add a sentiment or digital element you can still use these markers! COPIC ink does not dissolve toner. Since COPIC markers are alcohol based, ink dries quickly and blends smoothly. 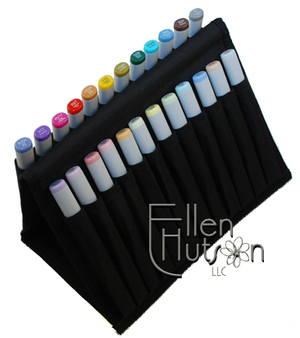 · Works well with watercolors, and can be easily touched up with colored pencils. Blending this fine art medium with other fine art media adds so much to the versatility of this product. · Liquid ink flow - both points get the same amount of ink – thus one end will not dry out. 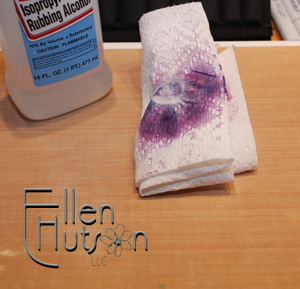 · Oval body profile is roll resistant on working surfaces - meaning it won’t roll over and off your desk (being these are alcohol ink I didn’t relish the idea of cleaning the ink from my carpet - round Ciaos roll). The oval shape is another of the primary reasons I selected the Sketch vs. the Original as well. The original felt too large and clumsy in my hand. · Body inscriptions and symbols are wear resistant and easily cleaned with COPIC Blender Solution. The high quality construction of the marker has a tight fitting cap and clearly printed identification of color code. What does this mean – it means that writing and coding will never come off. · Replacement Nibs are available for the Sketch. This adds to the longevity of the marker making it less costly over time. It also allows for different shaped nibs to be inserted in to the Sketch marker should you want to choose a bullet tip similar to the Copic Original tip you can purchase these seperately and insert them when you want to use a bullet tip. · Sketch markers have a broad tip (good for filling large spaces) and the other is a brush-tip (this tip places the ink onto the paper much like a paintbrush - this is how artists/crafters can get a 'watercolor style' effect using COPICs). The Ciao has the exact same tips therefore this was of little consequence in choosing between these two lines, but the Original has a slightly broader "broad tip" and has a "bullet-tip" on the opposite end. I found that I can get a MUCH finer line with the brush tip vs the bullet tip. I do believe that the bullet tip may offer some benefits to those who do not have a "light hand", but for the average individual I firmly believe that the brush tip will provide much better control. · Refillable with the standard COPIC Various Ink (here is where my math skills have come in helpful! Each marker costs $4.99, each refill costs$ 5.79 – I am told that this refill will fill your marker six (6) times. So $4.99 + $5.79 =$10.78/7 (original + 6 refills) = $1.54. That is an amazing value for a product of this caliber! 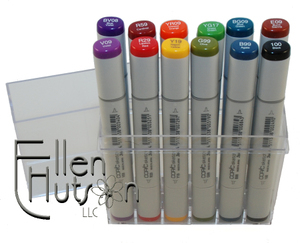 · The color and codes of the Various Ink Refills are identical to COPIC Sketch Markers for easy identification. 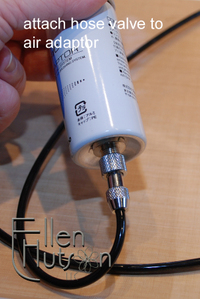 · The refill bottles are calibrated for easy refill measurement. 3 ml fully refills a marker. · The colors can also be intermixed to create an infinite color range. 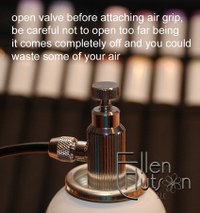 They can be mixed with the Colorless Blender solution (solvent) to create a diluted tone value. 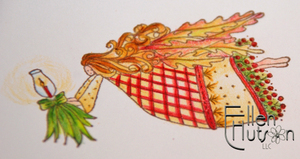 Special colors can be filled into empty COPIC Markers, creating an original color. This cannot be done with the Ciao markers being there are no empty Ciao markers to begin with. 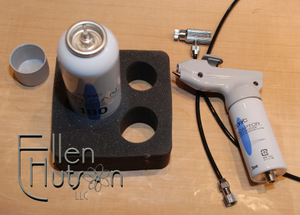 · Fit into a special airbrush system, thus turning the markers into an airbrush. Ciaos did not do this. Having a sense as to what future trends are going to be this was extremely important to me. I wanted to be certain that I was providing my customers with a product that would stand the test of time and thus meet their needs today AND tomorrow. · The high quality inks are checked four times for accuracy in manufacturing. Anyone who uses COPIC products quickly feels the quality difference of these markers. · Much more limiting color selection. · Clear Blender pens are extremely expensive in comparison to the COPIC refillable colorless blender. · Capillary ink feed (both ends do not get the same amount of ink therefore the big end gets all the ink and the small end dries out REALLY fast). · NOT refillable – therefore over time these will cost a lot more and end up being a much larger addition to our landfills. · NON-replaceable nibs – if nib becomes worn (which I’ve heard happens more readily with this marker) you must buy an entire new marker. · Labels and stickers are not reliable – pretty soon you won’t know what color your marker is without having them laid out on your work surface. · Have a distinct odor – COPIC markers are virtually odorless. 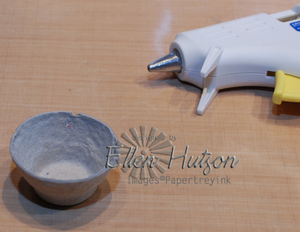 Not as versatile when used with other art media – other media can cause the ink to run. I hope that you find this information helpful when making your decisions regarding these fine art materials. I realize that you have many places that you can choose to purchase your markers through as well - I sincerely hope that the education that we are trying to provide you over the next months and years will show you how much your support means to us. I would like to thank you so much for your continued support and enthusiasm and will do my best to continue to inspire and educate you as we move forward with this new product line. I just wanted to give you an update to the COPIC marker orders. 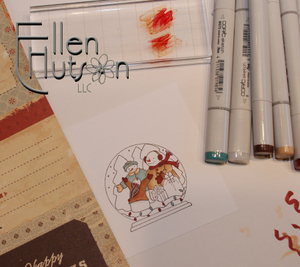 I have been constantly "bugging" the poor COPIC people on a regular basis - LOL! I am hopeful that the product that is to land in their warehouse today will include those missing markers and refills that we are awaiting to complete shipment of your orders. Please know that we have everything lined up and ready to go except for these missing products and we will be on it immediately upon their arrival here. Thank you to all for your patience!!! We truly appreciate your business and always want our customer service to be top notch.